Hello Divas! New York Fashion Week is in full swing here in New York City, and Pratt Institute is getting in on the action. The education institution is hosting Black Dress: Salon this Friday, Feb. 15, to highlight black design with special guest and designer Byron Lars, winner of the 2014 recipient of Pratt Fashion Visionary Award. The festive evening, created by Pratt faculty member Adrienne Jones, is being held at Pratt’s historic Caroline Ladd Pratt House in Brooklyn, N.Y. and will feature music, models and a Q&A with Byron about the state of fashion. The event is sold out, but we know how to get you on the waitlist! Just watch the video below for more information and RSVP at BlackDressRSVP. NYFW FALL ’17 – Fall Fashion Must-Haves From NOLCHA, Part II! 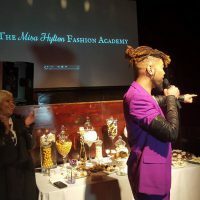 NY Fashion Week Fall ’16: Misa Hylton Fashion Academy! 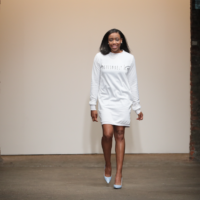 NYFW FALL ’15 Ashanti’s Little Sis Launches A Fashion Line!